Dove-coloured glossy lacquer for the wall-mount bases and cabinet, and matt White lacquer for the open-shelf cabinets. 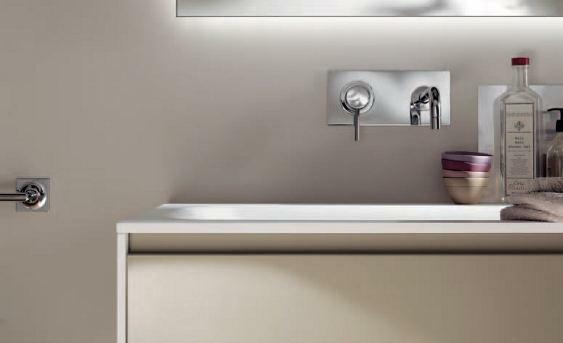 The top with integrated washbasin (14 mm thick) is made of Cristalplant, an easy-to-clean, innovative material with a pleasantly smooth texture. The sides and bottom of the bases are in Solid White lacquer finish.